Custom designed to suit your needs using decking materials like Pressure Treated, Cedar, Azek or Trex. Our custom designed Techno Metal Post foundations is a premium footing system that's guaranteed against frost, heat and settlement. 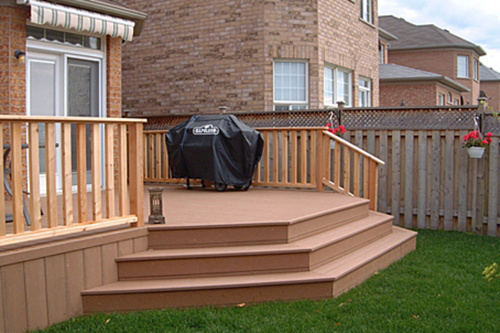 A carefully designed deck ensures a lifetime of enjoyment and will turn your backyard in a comfortable usable space.